Just a short walk from picturesque Old Town, this recently renovated hotel (just opposite the Passenger Port's D-Terminal) is especially great for families and economically-minded travellers. They offer decent, modern rooms and services at no-nonsense prices. All rooms feature natural cork floors, LCD televisions, wireless Internet access and they even have special rooms for people with disabilities or allergies. The onsite sauna can accommodate up to 20 people, has a stylish jacuzzi and is located on the top floor. Extra bed €25, pets €20. I stayed here for one night in July because I was taking an early morning boat to Helsinki the following day and the hotel is located right opposite the Tallink ferry terminal. I&#039;d arrived by air and the airport bus stops just outside the hotel take bus number 2 from outside Arrivals one-way fare is €1.50 for 15-20 minute journey to the port . For me price was a factor and the hotel offered great value for money for Tallinn in peak season. My motel-style room was clean and functional and more than satisfactory for the price I paid.Initially the dockside location may seem unattractive but the Old Town is just a 10-15 minute walk away through the newly redeveloped ‘Rotermann Quarter’ with its plentiful shops bars and restaurants. There is also a great Estonian beer hall situated just behind the hotel called "Kochi Ait Tavern" which brews its own beers has live music on most nights and serves high quality gastro pub-style Scandinavian food. There is a large supermarket over the road. 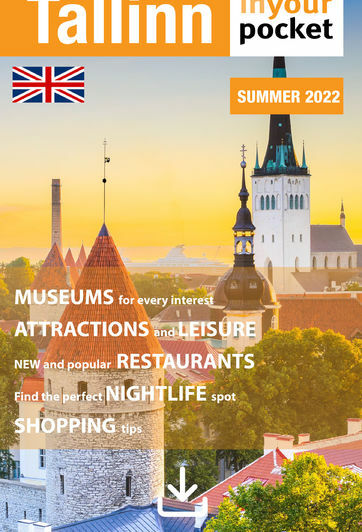 The area felt safe even at night.Still a port is a port pretty much wherever you go so if you’re making a one and only trip to Tallinn and you want nice views medieval buildings and cobbled streets then I’d recommend you spend 3-4 times as much and stay somewhere in the Old Town. If you&#039;re after good value accommodation and staying in a hotel surrounded by ferries lorries and cranes won&#039;t ruin your holiday then this place is definitely worth a shot. I&#039;d stay here again.